organicKidz®bottle rings are dishwasher safe and easy to clean with hot soapy water. If sterilizing, please use a baby product steamer only. 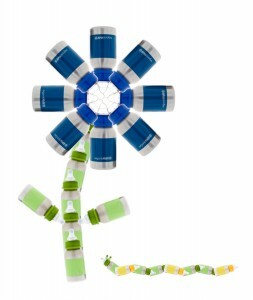 organicKidz®bottle rings are made without BPA, PVC or Phthalates. Since these chemicals are used to increase the strength and flexibility of plastic, products made with out these chemicals can be more susceptible to breakage. 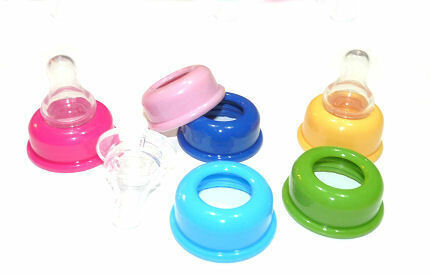 Replacement rings in all organicKidz® colours are available. Bisphenol -A or BPA is a compound used in many polymer based plastics like Polycarbonate Plastic (Shatter-proof clear plastic). This plastic can be used to make baby bottles. BPA is used to strengthen and make plastics more flexible. Plastic without BPA can be more fragile. In the body, BPA acts as an estrogen receptor agonist, which leads it to behave in a similar way to human estrogen. BPA has been linked to cancer, fertility issues, attention difficulties and cardiac problems among other health concerns. Many studies have indicated that there are also concerns about BPA’s effects on infant and fetal development. In April 2008, the Canadian Government listed BPA as a toxic chemical and banned the use of polycarbonate plastic in baby bottles and infant formula can linings.